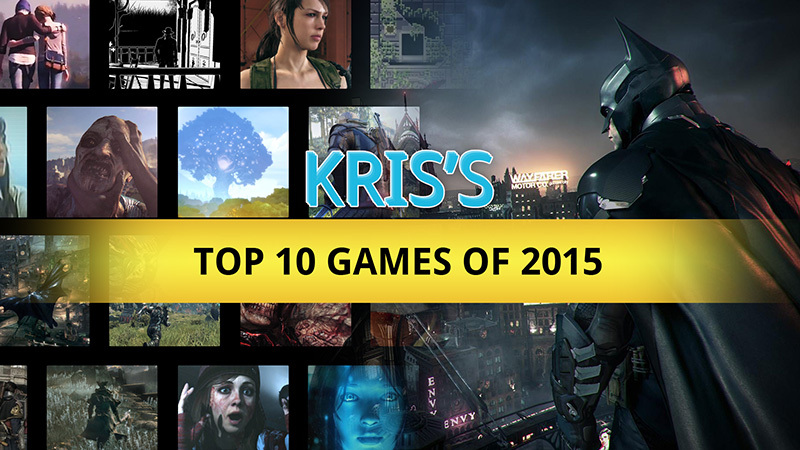 This year, Krispy hits us hard with a diverse, satisfying list! Everything from the smallest Indie to the biggest AAA is represented here; reminding us all just how great of a year it has been. Tune in tomorrow at 10:00 AM (CST) for Brad's list! Your top 5 took me by surprise. I wasn't expecting any of that. I kind of expected number 5 much higher, expected your 2 to be number 1. I sure as hell didnt expect 1 to be that game. Interesting and solid list. Nice video too man. Thanks for sharing it. I told myself I wouldn't watch any of these till they are all out but I decided to start with Kris' list. Great list and I've definitely been seeing alot of your number 2 pop up on my friends list. Nice list! I REALLY need to pick up Keep Talking and Nobody Explodes. That game just looks like a ton of fun. Happy to hear you enjoyed MGS V as well. I think I can safely say that it has the best gameplay I've ever experienced in a game. I was also pretty surprised by your number one. I expected it to be on your list, but not as high up.